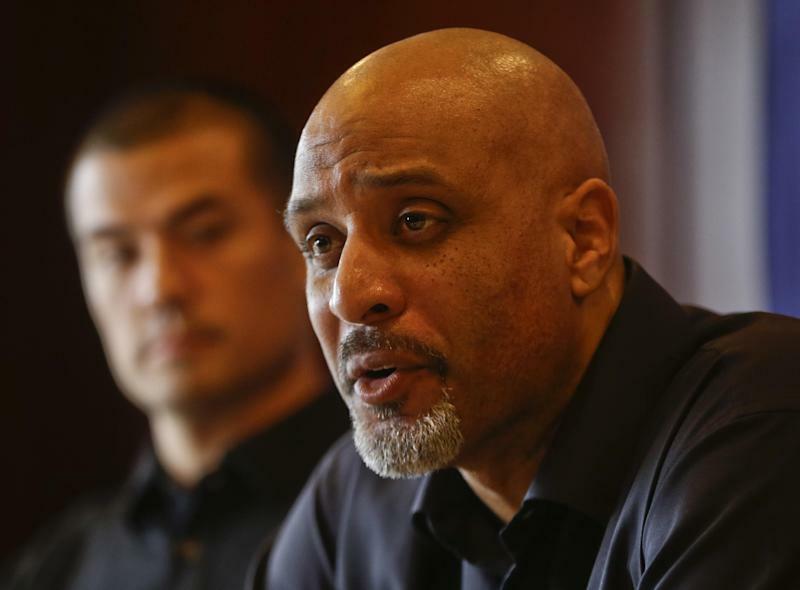 SAN DIEGO (AP) — Tony Clark said he's "blown away" that he is the first former major leaguer to become head of the baseball players' union. 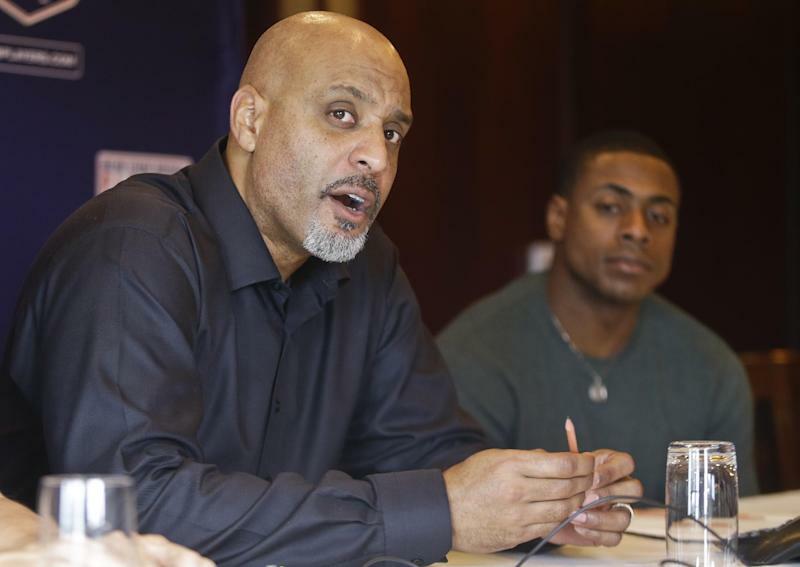 The executive board of the Major League Baseball Players Association voted unanimously Tuesday to appoint Clark to replace Michael Weiner, who died Nov. 21 of brain cancer. The decision is pending a vote of the general membership. Clark was an All-Star in 2001 and played for 15 seasons with Detroit, Arizona, the New York Mets, New York Yankees, Boston and San Diego. The 41-year-old was appointed deputy executive director in July and had been acting executive director since Weiner's death. The executive board is meeting this week at Torrey Pines Golf Course in San Diego. Clark went to high school in the San Diego area and played basketball at San Diego State. 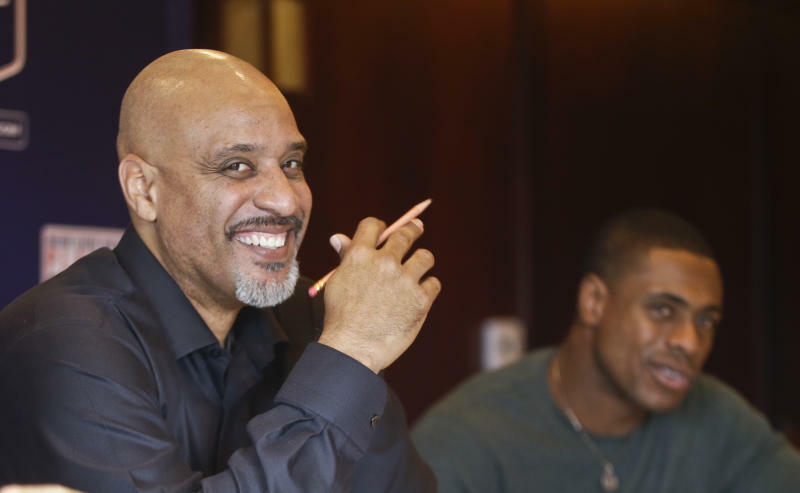 Instead, he said he woke up one day and told his wife that he should work for the players' union, "having no idea that we would be sitting before you, Dec. 3, 2013, in this capacity, but appreciating all the while that Michael's vision for our organization, my involvement with it, and the hope and having and making a difference for our group, active and inactive and those that are coming next, was the final decision-maker for me." Clark spoke on a conference call and then to a handful of San Diego reporters. "I expected to be tied to the hip with Michael for 20 years," Clark said. "He rides off into the sunset, I ride off into the sunset, we ride off into the sunset, having, Lord willing, affected the game positively. Blown away, yes. Humbled, yes. Excited to carry on the vision that Michael put into place, yes. ... Focused, not just now but going forward on what we stand for, who we are and how we've arrived at the place we've arrived? Blown away, yes." Jeremy Guthrie of the Kansas City Royals and free agent outfielder Curtis Granderson spoke glowingly of Clark. Guthrie pointed out that Weiner had been groomed before he took over for Donald Fehr in 2009, and Clark was groomed to replace Weiner, "although the time came way too fast, much more fast than any of us hoped or expected." Guthrie said he met with Weiner in 2012 after the cancer has been diagnosed, and the two agreed that Clark appeared to be the best candidate to eventually succeed Weiner. "Michael had the intuition, the foresight, whatever it was, to bring Tony on board when he did and to have him at his side," Guthrie said. "Tony clearly rose to the top as someone that we'd never necessarily had planned to see in this position, but when we needed to find someone, his candidacy was clear, that he was someone prepared to do this. "I think this is a unique time," Guthrie said. "Baseball changes a ton and our union continues to progress and now we have a former player on board. I don't think there's a better player that's ever been a part of this game, one as prepared, one as intelligent, one as powerful, one as knowledgeable, as Tony, to step in and do that. It's funny how things happen, but preparation has been on our side." Granderson said that when the 6-foot-8 Clark walked into a meeting Monday, he didn't have to say a word and the other players stopped talking and took their seats. "That was an additional confirming moment for me as far as this person demanding attention," Granderson said. "The information he's going to provide is going to be of importance, no matter when he's speaking or what he's speaking about. "The idea of him being a player, you never forget that as part of his resume, but that's not all he is," Granderson added. "For some reason people have coupled him to that category, but he is by far more than that and will continue to be more than that. That's just a chapter in his background. This is a new chapter and there will be many new chapters."